For any optional activities, it is mandatory to purchase together with your tour package. All optional activities are subject to availability. While we endeavor to operate all trips as described we reserve the right to change the trip itinerary due to any circumstances or events outside of our control. Experience Tiananmen Square, named after the Gate of Heavenly Peace (Tiananmen), which marks the entrance to The Forbidden City. Appreciate local landmarks, such as the Chairman Mao Zedong Memorial Hall, the National Museum, and Monument to the People's Hero. Not to be missed are the enormous pairs of white stone lions that have guarded Tiananmen for more than 600 years, as well as the outer golden water bridge, ornamental columns and more. Be guided through The Forbidden City, the seat of supreme power spanning five centuries (1416-1911) and home to 24 emperors that reigned during the Ming and Qing dynasties. This 72 hectare complex contains the largest collection of ancient wooden structures in the world. Get lost in this closed world of ornate architecture and elaborate decoration as you are immersed in the traditional pavilions, ceremonial halls and elaborate gates that witnessed imperial court life and divers Chinese culture play out for centuries. The Forbidden City is filled with history and haunting memories of Imperial China. 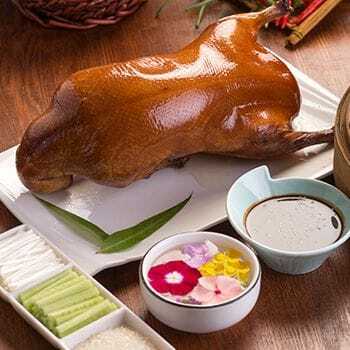 Enjoy a banquet featuring the famous "Peking Duck" a dish which was prepared for Chinese Emperors dating back more than 700 years. Whole duck is marinated in a sweet spicy flavoured sauce before roasted in a hung oven. Observe the crispy skin duck being carved at your table in the traditional style, served with thinly sliced spring onions, cucumbers and sweet bean/plumb sauce, wrapped in crepe style steamed pancakes. 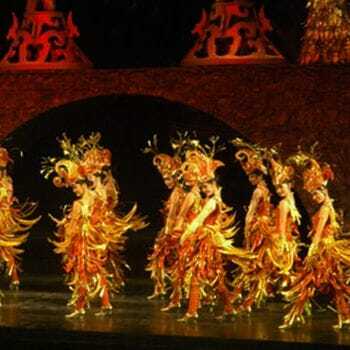 The Golden Mask Dynasty Show is an extravagant and dramatic musical performed by more than 200 actors. Attracting thousands of visitors to each performance, dancers and acrobats in magnificent costumes recreate the wonderful legend of the Golden Mask Dynasty with spectacular lighting and acoustics. Be immersed in Chinese culture, tradition and legend through this fascinating fairy tale of royalty, war, love and adventure. Hutong is the traditional courtyard residences of Beijing locals, and most of Hutong building you see nowadays are the heritage from Yuan, Ming and Qing dynasties (with nearly 700 years history). It represents an important cultural element of the city of Beijing, and you will find so many interesting stories and things to do. Of course, you will also visit some major attraction sites in the Bell and Drum Tower area, such as Mansion Garden of Prince Gong, the Former Residence of Song Qinling, the Buddhist Temple, the beautiful Shi Cha Lake, and so much more. 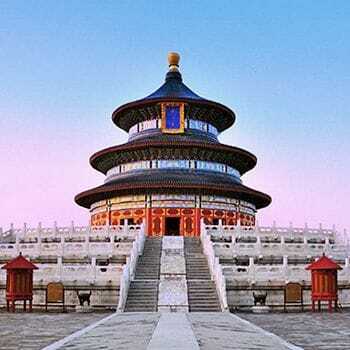 It's a wonderful old Beijing culture learning experience. 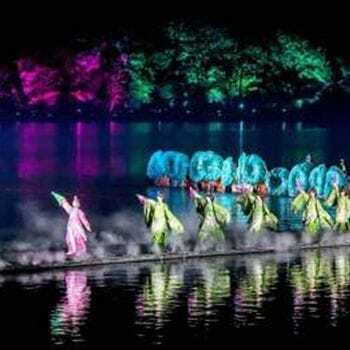 Staged entirely upon the lake itself (a stage has been built 3 centimetres below the surface), 'Impression West Lake' is a spectacle of light, music, dance and theatrics. Using the lake's beautifully lit background surroundings as props, hundreds of dancers appear to float on the reflective surface of the lake, as they portray folk stories based on Hangzhou legends. This spectacular open-air performance is a masterpiece created by Zhang, Yi-Mou; the director of the 2008 Beijing Summer Olympics Games and an absolutely a must-see in Hangzhou. This is a symbolic performance of Hangzhou. It is being performed over 2,000 times, and entertained over 60 million audiences. It is the theatre performance that has been performed for most times and has the largest audience number, along with the O Show in Las Vegas, and the Moulin Rouge in Paris, the three are regarded as the 'Top Three Famous Shows' in the world. Taking a short cruise on the Suzhou Grand Canal is a tranquil, peaceful and relaxing experience. Marvel at the picturesque scenery and unique architecture of magnificent ancient gate towers and traditional buildings while observing people of the canal go about their day to day lives, a photographers dream. Established for more than 2,500 years, the Beijing-Hangzhou Grand Canal, including Suzhou Grand Canal section, is the world's oldest and longest canal and a World Heritage Site, listed by UNESCO. Extending 1,794 km across China, passing through 8 provinces and linking five of China's main river basins the canal formed the backbone of the Empire's inland communication and transport system, providing an essential north south trade link. An inspiring and unique circus experience that blends Chinese acrobatics with state-of-the-art multimedia technology and innovation. Be dazzled by incredible stunts, fantastic imagery and poetic illustrations. You will watch an eye-popping performance as the performers incorporate martial arts, circus tricks, ventriloquism and magic during a mesmerizing show that demonstrates the agility, strength and skill of the performers. 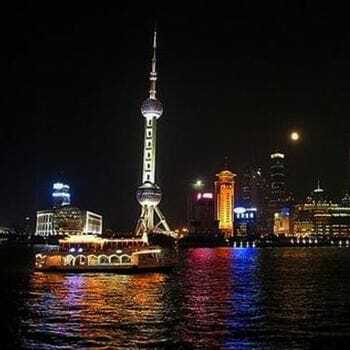 See the iconic sights and landmarks of Shanghai illuminated in colour on this spectacular night cruise. Glide down the Huangpu River which divides the modern Pudong from the old Shanghai. Contrast the spectacular views of the modern and ever changing skyline of the Pudong business and trade district with the colonial buildings that line the Bund. The river provides a wonderful vantage point to view and photograph this iconic skyline featuring the; Oriental Pearl Tower, Jin Mao Tower, Shanghai World Financial Center, and the Shanghai Tower, a highlight and must see for visitors to Shanghai. On this tour, you will explore Xin`tian`di in the centre of Shanghai City before visiting Jinmao Tower Lujiazui Financial & trade district. Xin Tian D,i translated as 'New World,' is an urban attraction that holds the historical and cultural legacies of the city. The antique walls, tiles, and exterior of the Shikumen housing give the feeling of walking through 1920's Shanghai. 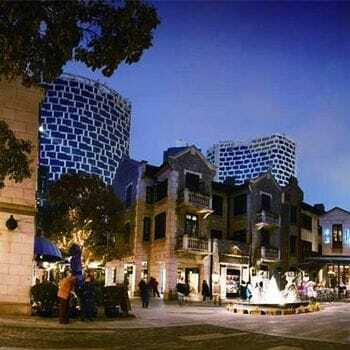 While inside reveals fashionable ornament shops, upscale stores and boutiques. This is ideal place to pick up a souvenir, or socialise in the cafes and bars, explore galleries and dine at the many restaurants serving international cuisine from France, Brazil, America, Japan, Germany and Italy. After we take you to Lujiazui Financial & trade zone to visit the Jinmao Tower, meaning "Gold Luxuriance Building" in Chinese. Reaching a height of 420.5 meters, 88 stories, and covering an area of 290,000 square meters Jinmao Tower is a perfect combination of modern architectural technology and traditional Chinese architectural style. The Tang Dynasty Music and Dance Show originated in China's Tang Dynasty over a thousand years ago and is one of the most popular entertainment excursions for tourists to Xi'an. Before the show you can enjoy dumpling banquet dinner that offers approx. 18 varieties of dumplings including pork, chicken, mushroom and duck with leeks, carrots, lotus roots and more. 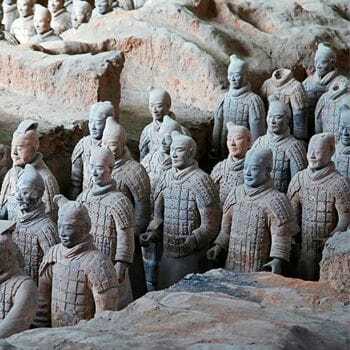 The Tang Dynasty was China's most colourful and prosperous dynasty. It is famous for its art, poetry, clothing, and cuisine. Visitors to Xian will have a chance to step back in time and relive this fantastic era at the Tang Dynasty Show. It is a spectacle of colour, culture, music, and dance. The spectacular music and beautiful costumes with long flowing sleeves perfectly match and complement each other. It is a show not to be missed. many delicious local snacks and souvenirs are available for purchase. 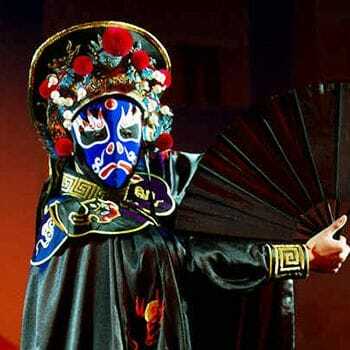 Bian Lian, or Face Changing, as it's known in the western world, in an old dramatic art associated with Chinese opera from the Sichuan Province. It is considered a part of China's cultural heritage and is the only art form to be ranked as a level two national secret. 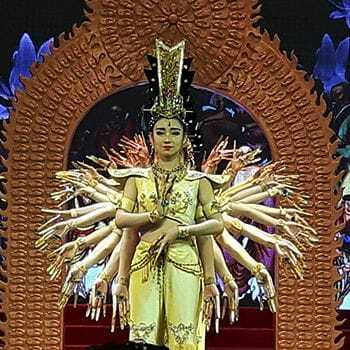 You will have the opportunity of witness this amamzing magical performance by highly skilled Chinese Bian Lian artist in the traditionally set-up stage. Huanglongxi Ancient Town features its ancient culture of water culture, Buddhism culture, tea culture, ecologic farming culture integrated with colorful folklore culture, screen culture and cooking culture. For its rich natural landscape resources and humanistic and cultural tourism resources. While walking through the street, you will see many historical civilian residences of the Ming and Qing Dynasties. While traveling along the river, you can have a view of the stilt houses, which fully represent the pile-dwelling culture of Shu people. We will Stop by a local fruit and vegetable market and glimpse the Chinese way of live as townspeople do their daily shopping. 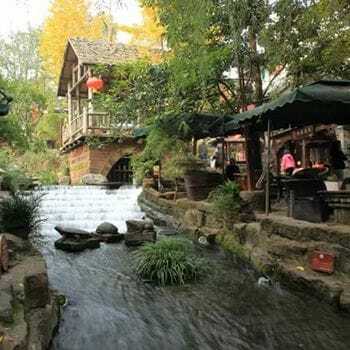 After lunch, move on to People's Park to experience the most authentic view into Chengdu local life. Have a cup of tea in a traditional tea house, watch the local older couples dancing, and enjoy the typical leisure lifestyle of Chengdu. On this sightseeing tour you'll explore the many landmarks of Chongqing including Chongqing city zoo where you can observe pandas and more than 200 other species, Ciqikou old town, and the famous Huguang guild hall. During lunch, you can slurp up some spicy Chongqing-style Hot Pot. Explore the ancient past by visiting the historical village on the water, the brook-side tribe, and the mountain-top tribe. Nestled in the stunning Xiling Gorge, right near the city of Yichang, this area looks just like a painting. It is one of the largest construction projects undertaken by mankind and is the biggest hydropower project in the world. With a long history of planning and more than a decade of construction, the dam body was finished in 2006. When the whole project is completed, it will contain 32 main generators, each with a capacity of 700 MW. With many landmark sites of China's history dotted along the banks, a trip through this reservoir offers an extraordinary insight into past glories and 21st-century innovation. The stream flows through three beautiful gorges including the Mianzhu Gorge, Parrot Gorge and Longcangdong Gorge. Each gorge is renowned for its unique and stunning scenery. The Shennong Stream is also home to the Hanging Coffins, which are ancient coffins containing the remains of descendants of the Tujia people. Take a shore excursion to Shibaozhai, with its impressive wooden pagoda, appropriately named "The Pearl of the Yangtze". This site had a history of over 400 years when it was built into the side of a 200-metre-tall hill. The striking nine stories red pagoda was built in 1819 to make it easier for people to reach the Buddhist temple at the very top of the hill. On the river side of the hill is a red pavilion which leans against the side of the hill providing a walkway to the temple at the top of the hill. One of the largest wooden temple, red pavilion built at the side of rock and has nine floors. A yellow entrance at the base of the pavilion provides an entrance. Fengdu Ghost City in Chongqing is a hot destination for many visitors and Yangtze River cruise travellers. 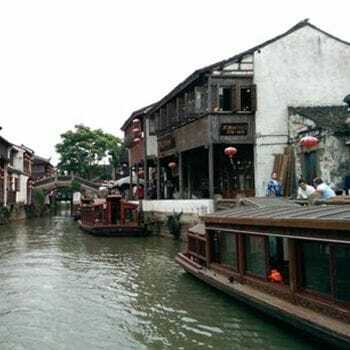 This extremely old place is featured with the culture of "ghost" in China, and also a treasurable storage of the folk culture about Taoism, Buddhism, and Confucianism together. It is considered as China's capital of the underworld, originally built about 1800 years ago. It's where you come to pray for a peaceful afterlife.